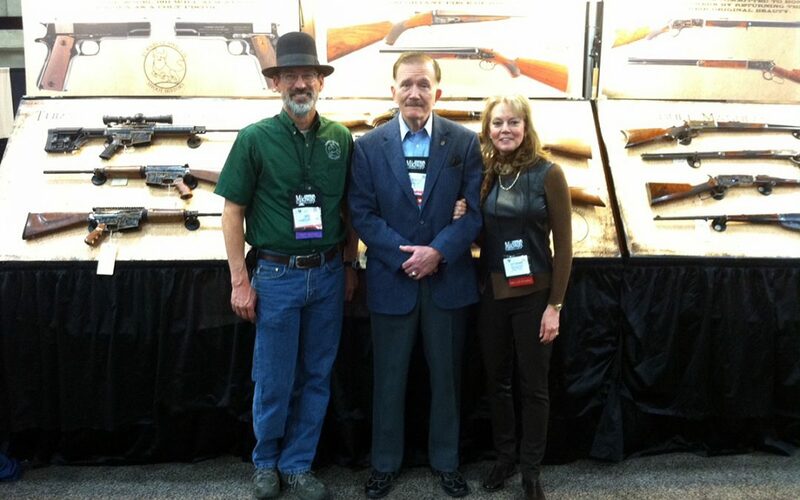 The first show of the New Year took us to the Dallas Safari Club Convention in Dallas, Texas. This gathering brought an international organization of hunters, conservationalists and wildlife enthusiasts together. We brought a number of restored originals as well as a handful of our newly manufactured firearms which included the Turnbull Model 1886, Turnbull Model 1911, Turnbull Commander, and the Turnbull TAR-15. Although we were located in a different section of the show this year, many people sought us out to admire our restored firearms and to view our Turnbull firearms in person. There was a considerable amount of interest in our restored firearms, particularly the Winchester lever actions and the Colt 1911. Turnbull Manufacturing Company’s craftsman have a great reputation for restoring vintage firearms back to their original condition using the same techniques that were perfected over 100 years ago. As always, we enjoy visiting with our customers, meeting potential new ones and simply meeting the people that appreciate our work. Next stop – SHOT SHOW!